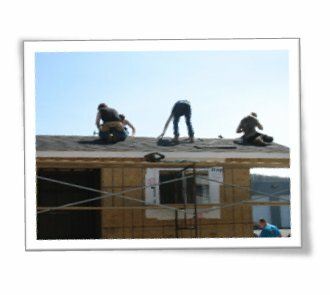 The Building Technology program at Warren Tech is a comprehensive course of study that incorporates all aspects of building and construction. 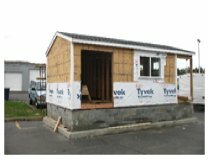 Students explore a full range of construction trades and gain skills in blueprint reading, masonry and foundations, carpentry and framing, siding, roofing, and finish work such as spackling, painting, flooring, and millwork. Students are exposed to the entire construction project from pouring a foundation to the finishing touches of flooring, molding, and painting. Students begin with an introduction to hand tool skills and the applied safety measures. 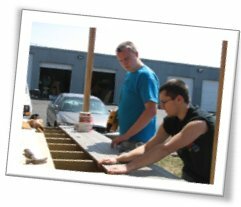 At the completion of the four years in Carpentry, students will have successfully achieved the skills to work in a variety of construction fields. Students in this program are also able to obtain industry certifications such as the S/P2 Safety & Pollution Prevention Training. 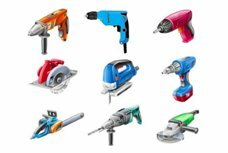 Students in Building Technology are introduced to the proper and safe use of industry tools, technology, and equipment. 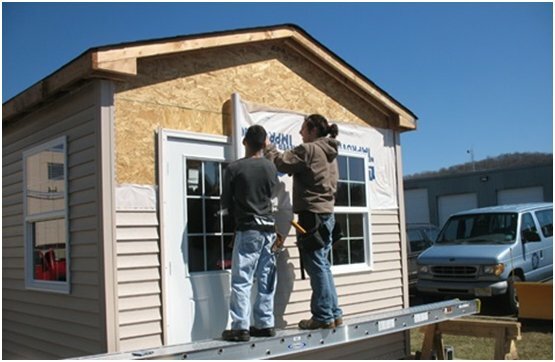 Students in this program build large scale projects that incorporate many facets of construction to include masonry, framing, siding, roofing, and finish work. The Warren Tech Building Technology Career Academy has a variety of pathways available for students to pursue: College Prep, Trade Schools, Entrepreneurship, Military Service, Union opportunities, and the Workforce. Students enrolled in Building Trades Academy at Warren Tech can begin preparing for two or four year college programs by pairing their shop program with college prep courses. Building Technology students in this pathway are also prepared with the construction skills necessary to start them on the path of owning their own construction company. Students considering entrepreneurship are encouraged to take the Introduction to Business and Accounting electives where they earn college credits toward an Associate’s or Bachelor’s degree. Armed with high level construction skills and earning college credit in high school puts Warren Tech graduates on a track for success. Students in this pathway will develop in demand construction skills that can help them obtain employment. Structured Learning Environment (SLE) work opportunities exist for students during the school day. Students in this pathway also have the opportunity to prepare for trade schools such as Triangle Tech or Johnson College. Students in the Building Technology Academy are also prepared to pursue jobs upon graduating from Warren Tech. Students in this pathway will develop in demand construction skills that can help them obtain employment with union and independent contractors or in the home improvement and construction supplies retail industry. Students in this program are assisted with job placement opportunities to include Warren Tech’s Structure Learning Experience (SLE) that allows students to obtain employment while still a student.